Press Release - San Pedro Sailing Club – November 5, 2013 - Since the San Pedro Sailing Club's (SPSC) inception in 2010 under the leadership of Commodore Andy Milner, the SPSC has worked with Brig. Gen Alan Usher (Ret) and a small group of like-minded people to actively formalize recreational and competitive sailing in Belize. Since then the SPSC has strived to meet the Belize Sailing Association's (BzSA) aims and aspirations which are primarily to promote competitive, traditional and recreational sailing within Belize, and to acquire through funding and building locally, a fleet of Optimist class dinghies and then introduce sailing activities into schools, and enter Belizean sailors into future Caribbean and Central American games. To that end, the SPSC has successfully created a junior racing program, produced national champions, offered instruction from trainers from Belize, UK, Guatemala, and Germany, hosted national regattas and demonstration events, and has firmly established the SPSC in the community on Ambergris Caye. Now the SPSC has found itself at a crossroads - the club has been successful in meeting the goals of BzSA in terms of developing a junior team of racers which has now branched off to form the San Pedro Junior Sailing Club (SPJSC), a team of dedicated, competitive racing sailors. We are so proud to congratulate the youth on their achievements and their ability to compete nationally and internationally. The SPJSC is now sustaining itself financially and continuing its goals to produce national champions. The SPJSC has established a board of directors and with its focus and determination we are sure the team will continue to produce national champs. The SPSC encourages you to show your admiration and encouragement for the junior sailing club by visiting them at Caribbean Villas and supporting their fundraising efforts. Looking ahead to the coming year, the SPSC will now refocus on its original goals of introducing the love and skills of individual sailing to both children and adults. We shall establish a new home for the SPSC at The Villas at Banyan Bay. The club will offer sailing in Optimist dinghies for children between the ages of 9 and 15 years old and lasers to accommodate the 15+ year youth and adults. 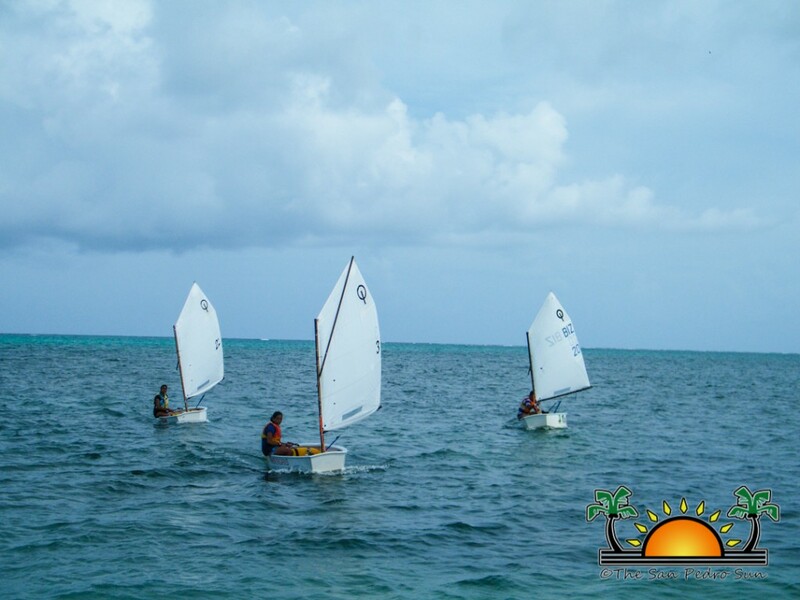 We will also have Hobie catamarans, and we hope that members will introduce other classes of sailing vessels as well. In addition we will offer beginning, intermediate and advanced sailing instruction by BzSA certified instructors and boat-building classes for all ages and friendly racing each week for youths and adults. At this time the SPSC has acquired seven new optimist dinghies which will be available to all youth sailors beginning in December of this year. We expect to add at least two more lasers to our existing fleet of two in the Spring. We have purchased a dedicated safety boat and are looking forward to some fun classes and friendly racing in the superbly challenging waters at Banyan Bay. The SPSC is also pleased to announce that it will be holding its first boat building workshop in mid-November, 2013. We will be building an optimist dinghy. We encourage anyone that might be interested in joining us to call Commodore Andy at 632 4101. The SPSC will have an "Open Day" for members and potential members to view our new home at the Villas at Banyan Bay, meet Commodore Andy, and to have questions answered about how to participate. This invitation is open to all members of the San Pedro community that have an interest in sailing. Please visit our website: www.sanpedrosailingclub.com for more detailed information. We invite our current members to assist with the logistics of preparing the club area. We would like to take this opportunity to thank all of our members, sponsors, donors and friends for joining us in this fun venture, and we look forward to many more years of sharing our passion for sailing. San Pedro Sailing Club invites you!! !